We all love watching those whiteboard animations on YouTube, informative presentations, or TV commercials. 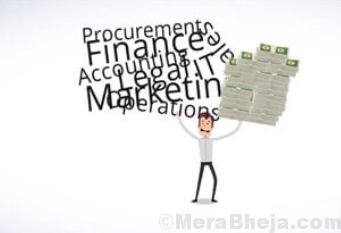 These animations are used across different industries chiefly due to the way it presents and conveys the message to the viewers in the right manner. However, there’s a lot of pain that goes into creating stunning animated presentations. 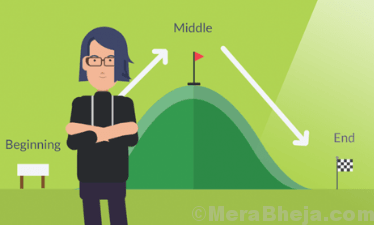 A traditional, still presentation on the other hand, can be monotonous for the audience. Whiteboard animations are a great way to add life to your presentations. But, if you were wondering if companies hire animation experts to create these videos, then that’s far from the truth. 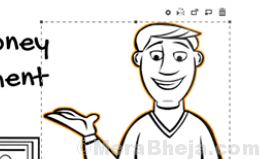 While it’s simply satisfying to watch the cartoonist draw on the whiteboard, you would need a whiteboard animation software to add animations and special characters to your creation. Yes, there are many such programs that help you get started with your whiteboard animation videos in just a matter of time. Best of all, these programs are feature packed, fulfil comprehensive needs, and are available at different prices. Here’s a rundown of some of the best whiteboard animation software that we thing are the most effective in creating those animated videos or presentations. 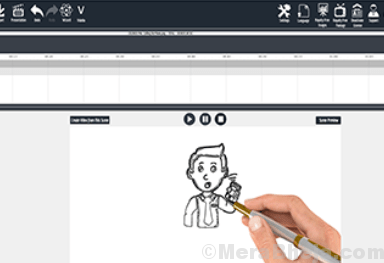 VideoScribe is one of the leading whiteboard animation programs that allows you to make your own whiteboard videos easily and quickly. Best of all, it’s available at a competitive price. Using this software you can simply select images, type your text, add background music, and the rest is taken care of. It allows you to create catchy content in matter of minutes. You can then publish it, and even share it on the social media channels. It enables you to create as many videos as possible at a much reasonable price. Among its significant features are, convenient drag and drop facility, quick access to a library full of photos and music, 24×7 support from a community and team of experts, and countless of other features specifically suited for corporates and educators across the world. Whether you are a Windows user or a Mac user, Explaindio is one of the best whiteboard animation software that’s trusted by millions of consumers across the world. With a mix of 2D and 3D animations, this program helps simply anyone to create professional looking videos irrespective of their experience levels. It also offers whiteboard sketch components and FMV (full motion video). With loads of options to customize your creativity on the feature packed interface, option to make HD videos, use attractive themes, or ability to bring in video or audio data from other similar software, Eplaindio is an advanced software not to miss. If you are looking for a dynamic whiteboard animation software that helps you create animated videos in minutes, GoAnimate can be the right choice for you. You can create your videos much easily using the wide range of templates, audios, etc. from the library. Using GoAnimate, you can create compelling videos that help you to achieve your marketing results. For those creating training and learning videos, the results are pretty attractive to engage learners. This software helps create videos that improve communication and collaboration within the company. Overall, it’s a software for everything including sales compliance, for enterprises to communicate effectively with employees, and for everyone else like small-business owners, advisors, or educators. 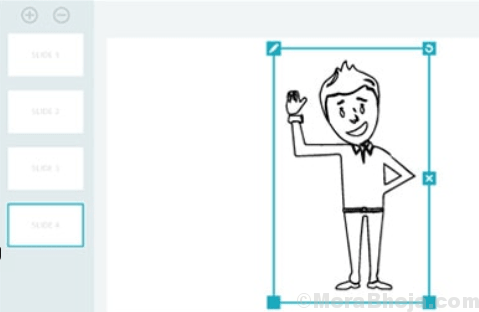 VideoJeeves is another great whiteboard animation software that helps you create explainer videos easily. Using these whiteboard animated videos, you can convert your audience into dedicated customers and increase business and revenues. The videos created by this software are compelling enough to keep viewers captivated to the brand. From product promos, tutorials, or training videos to advert, the software allows you to choose from the one that suits the best for your business. Adobe is already an established name in the field of online products. One of their products is the AdobeAnimateCC that offers new age animation techniques to users. This software helps you design interactive vector and bitmap based animated games, web, and apps. Bring your animations and banners to life, or insert actions to tutorials and infographics using this software. It also allows you to publish to several different platforms quickly and be available to the audience on mobile, platform, and desktop. You can use the dynamic demonstrations and animation tools to create interactive content for web. Not just that, you can also create lifelike sketches with pressure-and-tilt sensitive vector brushes that work like the real brushes. Those looking for a software for both whiteboard animations and presentations, PowToon can be a great option. It helps you gain attention of your seniors or co-workers in any business environment, helps you counter any disturbances in the class and attract attention of the students using the educational tutorials come to life, and communicate with friends or loved ones using the software to create animations for special occasions. 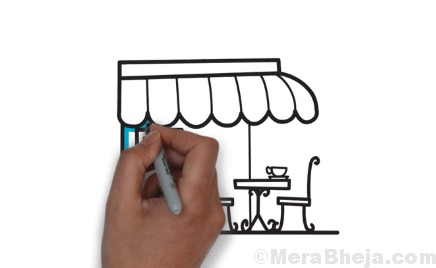 You can also use their range of templates to make superior-quality whiteboard animations, quickly. Sign up for the soon to be help webinars or go through their training center to get all the assistance you need. TTS Sketch Maker is a text to speech software that’s especially suitable for whiteboard videos. It includes high-grade voices that feature male and female voices. It allows you to create superior quality whiteboard videos in matter of minutes. It features a responsive interface that helps you start creating your TTS whiteboard videos in a jiffy. The best part is, there are no limitations on the videos you make, so you can freely share and upload them, and even sell them if you want. This software helps you save time and money since you can create your TTS whiteboard videos without paying a professional to make them. TruScribe features in some of the well-known media outlets that offers effective video strategy. It’s the only brand that uses neuroscience and offers whiteboard art that you have never experienced before. It uses the scribology method with hand drawn custom video options that helps attract attention, improve retention, and boost understanding. The artists of TrueScribe are skilled in the Scribology method that makes their experience go way beyond just whiteboard animations. What’s more? The production team of the company helps you to achieve your budget and deadlines by following system driven process designed with creative adaptability in mind. Doodly claims to be the primary whiteboard video creation software that helps anyone with or without technical or design experience. Available at a much reasonable price, this software reduces the long wait to actual professional designers and videographers who create the doodle videos for the users. That’s not all, as you can also create your own professional looking doodle whiteboard videos with close to no technical experience. Best of all, it helps you to create videos in the minimum possible time with a high-quality end result. Moovly is an online software for whiteboard animation where you can create professional videos and presentations easily. You can create your own explainer tutorial, adverts, or presentations in just a few minutes. All you need to do is to sign up for it, and get access to a wide range of templates to start with. You can select a template from the library, and make a project choosing from the list of 175 million lively objects, audio files, and video clips. You can also your own materials and upload your own creations. With its easy to use drag and drop GUI, and the option to edit straight in the desktop browser, Moovly is definitely worth a try. Rawshorts is another great software to assist you with explainer video creation. It’s an easy and responsive software that offers animated whiteboard templates. You can choose from the host of these professionally created animated templates available in different categories to create a whiteboard video for your brand. Moreover, you can insert custom text, media, effects, sound, and transitions to create something completely original. Furthermore, you can share your creations on social media channels like Facebook, YouTube, landing page, and more. Animaker is a web-based program is a freeware that comes with an interface which is a lot similar to the RawShorts. You simply need to register and it offers you the facility to click and choose, drag and drop, and edit and play. It’s an extremely easy to use software that offers 6 video styles that can be worked in alliance. With this, you can create upto 720 different types of animated videos. This software is perfect for content marketers for their marketing project in a budget. Offers smoother experience comprehensively with refined preview playback. 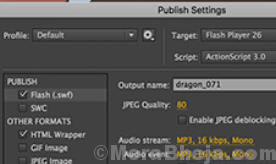 Additionally, it comes with built-in features like screen recorder, webcam, ability to import media, multi-track timeline facility, annotations, transitions, audio effects, voice overs, interactivity, and so on. Renderforest is a free whiteboard animation software that helps you to narrate stories in more creative fashion. Using this software, you can create educational presentations, corporate scribble videos, and explainer videos. You can choose from its collection of templates, and whiteboard animation toolkit to create presentations easily. Price: free version available; upgrade starts from $14/month. Whether you are into the filed of education or want to promote your company products and services, whiteboard animation is one of the best ways these days to communicate to the audience effectively. A professional and creative whiteboard animation grabs the much needed attention, and these software are the perfect way to convey your message, So, choose from the above list and get going with your whiteboard animation today! If you are looking for an animation software for your business, then MySimpleShow can be the best bet for you. The software makes it much easier to create the professional looking explainer videos for the corporate customers. Whether you aim to create a campaign for your product or service, provide training materials for your employees, or simply want to motivate your team, this whiteboard animation software makes your video shine through. You can also use it to create educational videos and share the resources with your students or on social media platform. Moreover, it can also be used to juice up your blog, put across a marketing idea, create a crowdfunding video, or a video resume. There is so much that you can do with this program using the animated images and graphics. Bonus – you can also add audio to presentations. Easy Sketch Pro is one of the best animation software that enables you to make new and stunning interactive whiteboard animation videos for any business. You can start making sketch videos using the “drag and drop” facility available on the interface. What’s more? You can also upload any video and the program will create the opening scene followed with the astonishing effect into a Live Video. The best part is, you can pre-set the sketching time before it transforms to a live video. Spruce up your video by adding background score or narratives to both the drawing or the live video. Whether you want to draw any text, image, music, or video over to the live video, import videos onto the timeline as the sketch video plays, select from the wide range of backgrounds from the library, integrate to it any of your social media page, or make use of the integrated video analytics, Easy Sketch Pro has a lot to offer.